To celebrate the tradition of afternoon tea at Cape Town’s iconic blushing belle, Belmond Mount Nelson Hotel, Belmond introduces a Tea Sommelier, the first of its kind in South Africa. The Tea Sommelier, purveyor of the art of taking tea, is on hand to guide guests through various tea masterclasses, including a traditional tea ceremony, complex tea tastings and fine dining food pairing. Tea was first brought to Cape Town in the 1700s by ships docking in the harbour on their way back from the East and the tradition of Afternoon Tea has been intrinsically linked with Belmond Mount Nelson Hotel for 119 years. For those keen to learn more about pairing loose teas with fine dining cuisine, the Executive Head Chef and Tea Sommelier work together to pair five canapes and delicacies, such as macaroons or salmon, with accompanying tea from across the world to awaken all senses. The much-loved Tea Lounge and Garden Veranda at Belmond Mount Nelson Hotel have been the heart and soul of the rosy property for many years. Following extensive refurbishment works, the spaces now connect guests with the magnificent gardens upon arrival. Subtly designed to reflect the famous pink exterior, the space warmly welcomes guests as they sit down to enjoy one of the many tea blends available. 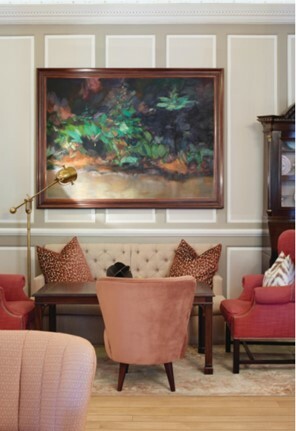 The rose petals in the classic Mount Nelson blend of six different teas perfectly complement the shades of pink fabrics and the au boison rugs in the lounge. 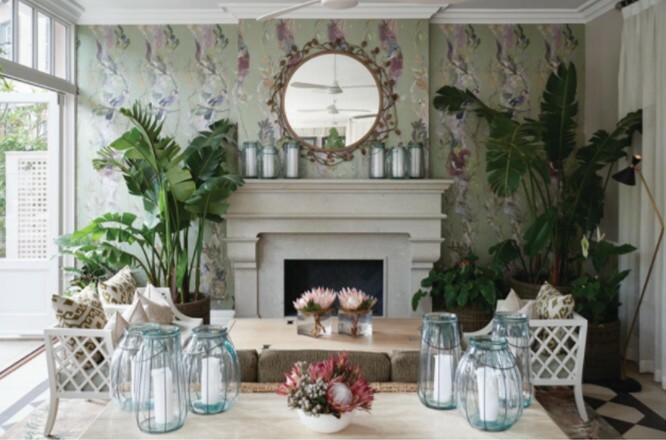 In the conservatory, the palmed wallpaper, parlour palms, giant strelitzia trees, hanging baskets and bright orchids create the ambience of a wintergarden filled with light and plants. A large fireplace at one end anchors the room and the many mirrors and plants help to bring the garden right into the room.